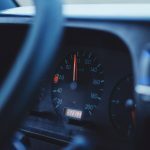 Being caught speeding in NSW can be costly, and if it happens multiple times it can impact your ability to drive in the future through loss of points and suspension of your licence. Speeding fines can come in the mail if you have been caught speeding by a fixed speed camera, or mobile speed unit. Highway patrol cars are equipped with radar to detect speeding, and police officers also use handheld speed detection devices, so you can be pulled over on the spot if you are caught going over the posted limit. Unlike fixed speed cameras, which have to be clearly marked with warning signs, officers waiting in patrol cars or using handheld devices are often concealed, and motorists can come across them with no warning at all. 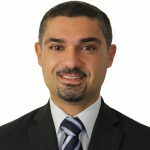 In recent times, NSW police and the RMS have come under question in the media for their aggressive booking of motorists and the amount of revenue that they earn from speeding fines. What happens if I’m booked by a mobile speed camera unit? 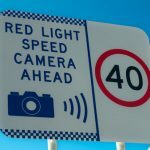 NSW has recently started using mobile speed camera units, which are essentially vans equipped with speed cameras. These are becoming more widespread as 45 were added at the end of last year, and they are rapidly becoming a well-known revenue raiser for the government. Unlike fixed speed cameras, they move around from place to place, and their locations can be found on the RMS website. These vans operate in a similar way to fixed speed cameras, except without any warning signs placed beforehand. If you are photographed going above the speed limit from a mobile camera unit you will receive notification in the mail within a few days or weeks. The process for dealing with speeding tickets received from mobile speed camera units is the same as for fixed speed cameras. 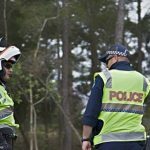 Do I have to be pulled over for speeding in NSW? 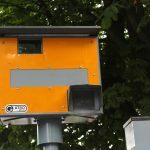 If you have been caught speeding by a fixed speed camera or mobile speed camera unit, you will receive notification in the mail, and it is possible to dispute the fine by going to court. If you get caught on the spot by a police officer, they will generally pull you over if they are going to issue you with a ticket. Police do not have to issue a ticket if they detect you speeding with the radar in their car or a handheld device. 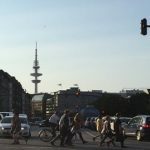 They do have some discretion, and can take circumstances into account. If you get pulled over for speeding, it’s important that you think carefully before you say anything. 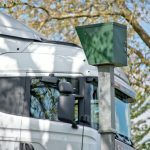 In many cases, police may try to trick you into admitting to an offence, but it’s important to be aware that police radar detection equipment isn’t infallible and in many cases it is possible to fight infringement notices in court. When you get pulled over for speeding, it’s important to keep in mind that your conversation will be recorded and anything you say which could be taken as an admission may reduce your chances of successfully fighting the charges later on. Even if the officer who pulled you over says they have evidence that you were speeding, it is only an allegation at this stage. The police officer has the right to ask to see your licence and registration and it’s important that you co-operate with them. If they ask you ‘why’ you were speeding, it is best to respond by saying that you don’t believe you were speeding or if you aren’t sure, tell them politely that you would prefer not to answer the question. Apart from showing them your licence and vehicle registration, you are not legally required to answer any other questions and it’s usually advisable that you say as little as possible. The police officer may show you the reading but even if they do this, it isn’t proof that you were travelling at the speed shown. Police radar equipment can be inaccurate, so don’t be fooled into making any admissions that could hurt your case further down the track. As a matter of policy, police radar guns are only supposed to be used in known accident black spots or risky areas and if you can show that police were using radar in an area without justification, it may help your case in requesting that the ticket be dropped. It never hurts to ask the officer politely whether the area you are in is a high-risk area or an accident black spot. If you have been booked for speeding, you don’t necessarily have to accept the ticket. In many cases it is possible to successfully fight speeding charges in court, or even have them withdrawn before they reach court. If you feel like you have been pulled over and unfairly charged for speeding, speak to an experienced traffic lawyer as soon as possible. Would You Risk Prison to Keep Your Driver Licence?